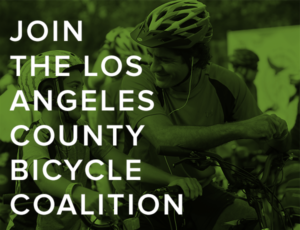 It’s the last week of the 4th Annual BikinginLA Holiday Fund Drive! Give today, and join the 37 generous people who’ve already given their hard-earned money to support SoCal’s best source for bike news and advocacy. And help keep this site coming your way every day. The death of an Australian tourist on an LA roadway has led to safety improvements Down Under. James Rapley was riding on Temescal Canyon while on an extended layover at LAX on his way back home for the holidays five years ago when he was run down by a stoned and distracted driver who drifted into the bike lane. Now one of his best friends has developed a camera system designed to catch distracted drivers, and keep anyone else from dying needlessly. The system, from a company called Acusensus, works like a red light camera, capturing photos of distracted drivers and mailing them tickets. While no tickets have been issued yet, a four week test of the technology this past October captured an average of 11,000 drivers a day using their phones illegally. Something like that would probably require a law change here. But it might finally get California drivers to put down their damn phones and pay attention to the road ahead of them. And possibly avoid thousands of needless deaths and injuries every year. Then maybe Rapley’s death won’t have been in vain. On a related note, I worked with Councilmember Mike Bonin’s office and LADOT to push for a parking-protected bike lane on the uphill side of Temescal Canyon where Rapley was killed. However, the plan LADOT developed for a road diet on Temescal with a protected bike lane on the uphill side and a separated bike lane on the downhill side met local opposition from Palisades homeowners in its only public presentation. And was quietly shelved following the tumult over the Playa del Rey road diets in Bonin’s district. Let’s hope sanity returns someday, and the plan can be revived before anyone else gets killed. A couple dozen Idaho kids got new bikes, along with free helmets, air pumps and water bottles in a holiday giveaway. Hundreds of Detroit kids got free refurbished bikes and helmets from Free Bikes 4 Kids. A Roman Catholic priest, one of 700 selected by Pope Francis to travel the world doing good deeds, gave every 2nd grader in a Kentucky school a new bike and helmet from Trek. A London neighborhood sees over 500 cycling Santas turn out on BMX bikes. Horrifying security video captures the moment an Australian bicyclist was run down from behind by a driver high on meth, who then continues on to hit a pedestrian and another car. No word on whether the victim was injured, or how badly. But fair warning, before you push play, be sure this is something you really want to see. The video is graphic and disturbing, and you can’t unsee it. This is how Vision Zero is supposed to work. After a man was critically injured in a hit-and-run while riding on La Tuna Canyon with his adult son last year, Los Angeles officials unveiled a new separated bike lane and other safety improvements along the dangerous roadway. This is the cost of traffic violence. Two nine-year old girls are battling for their lives after suffering “massive” head trauma in a street racing crash; one driver was arrested, while the other fled the scene. Bird briefly flocked to Redondo Beach on Thursday, only to have its wings clipped and unceremoniously ordered to get the flock out of town by Sunday. Seriously, don’t kill the newts. Thanks to Megan Lynch for the heads-up. San Diego’s Holiday Joy Ride shines a light on safety improvements in the city, with many new projects set to be unveiled in the coming year. 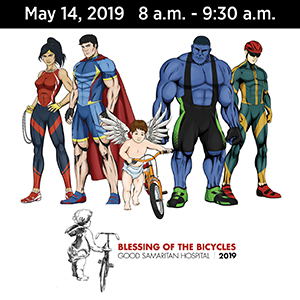 North San Diego County bicyclists rode to honor bike and pedestrian safety advocate Roberta Walker, who was critically injured in a crash while riding her bike recently. After a bike rider was killed by a speeding driver on Ramon Road in Rancho Mirage, local bicyclists express their concerns about the dangerous roadway. And the local TV station offers tips on how bicyclists can stay safe, without a single word on how drivers should slow down and avoid killing people. An Oakland news site operated by the UC Berkeley Graduate School of Journalism offers a video report on the latest plan to complete the bike path on the Bay Bridge. In yet another blow to alternative transportation, the Trump administration is converting the popular TIGER grantsthat helped build bike and walkways across the US into a highway building program. That energy drink could mess with your blood flow. A Seattle judge sends the city back to the drawing board, ruling in favor of a coalition of maritime and industrial businesses who sued to halt the proposed completion of an 18-mile bike path that’s been in the works for over thirty years. A local paper says a planned redo of I-70 through Colorado’s Vail Pass will have to balance the needs of motorists, bicyclists and wildlife; a bike advocate says some sections of the existing bike path through the Rockies are terrifying in places where it runs too close to the freeway. A Wichita Falls TX bicyclist calls attention to the dangers bike riders face in the city after he was hit from behind with no warning by a drunken motorcyclist. I want to be like him when I grow up. A Wisconsin state senator praises the country’s longest serving state legislator, who she calls the dean of the senate — and who rode nearly 3,000 spandex-clad miles this year at 91-years old. Connecticut Public Radio discusses the origin of bicycles, and how bikes paved the way for the women’s movement over a century ago. After a New York ebike rider was killed by a hit-and-run driver while riding in a bike lane, the NYPD trips over itself to blame the victim and exonerate the missing driver. He gets it. An op-ed in the New York Times says urban areas around the world are getting the message that cities are for people, not cars. Maybe Los Angeles will finally figure that out someday. An op-ed in the Washington Post says traffic laws are universally ignored, and safety will never improve until drivers have to pay for breaking the law. 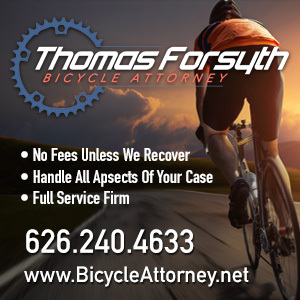 An Orlando FL plastic surgeon says bike riders have to be taught traffic laws, and the laws have to be enforced to improve safety. In other words, he’s blaming the people on bikes for getting hit by cars, and not the people who hit them. Ottawa, Canada bicyclists are calling for a permanent memorial where a bike rider was killed by a cab driver earlier this month, saying the death can’t be swept under the rug. Life is cheap in London, where a dump truck driver walked with a suspended sentence in the death of a pregnant woman as she rode her bike. Royal-in-law Pippa Middleton gets back on her bike for the first time since giving birth in October. Troubling piece from a gay couple who biked along the border between Ireland and Northern Ireland as Brexit throws the border into question, and find gay people hidden deeply in the closet and a revival of the conflict between Catholics and Protestants waiting just under the surface. A new competition-winning Dutch app enables employers to track bike commuters to pay them for riding to work. Thousands of people in Kathmandu continue to ride their bikes, despite the dangers and chaotic traffic — including missing manhole covers exposing open sewers. No bias here. A Kiwi columnist says it’s okay if he hates on bikeways as a ridiculous waste of money, because he rides a bike himself. Sure, let’s go with that. Normally, Stephen Hyde’s third consecutive US national cyclocross championship would be damned impressive. Except the incomparable Katie Compton just won her 15th in a row. Yes, fifteen. The former long-time coach of the late, lamented Jelly Belly team has found a new sponsor, allowing him to continue fielding a Continental-level cycling team. Sad news from the UK, where a court heard a cyclist died of a heroin overdose, driven in part by a crippling fear of urinating in public, which prevented him from turning pro over his fears of being forced to take drug tests in front of a witness. Tour de France winner Geraint Thomas was named the BBC’s Sports Personality of the Year. Even the trees are out to get us. Strava Santa is coming to town. And not everyone wants cycling gear for Christmas. That’s okay; I’ll gladly take whatever he doesn’t want. 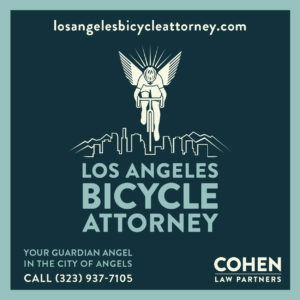 Thanks to James van G and Mitchell D for their generous donations to the BikinginLA Holiday Fund Drive to keep this site coming to your favorite screen every morning! I think he’s just bummed about the hat that committed suicide in thee hot wash, so he doesn’t want anything nice again so he doesn’t have anything nice to lose. In Downtown LA the past few weeks a few LAPD motor officers have been riding up and down the streets all day I have seen passing between cars stopped at lights, looking inside, and pulling over cars where the driver is holding their phone. Three people in my office have gotten these tickets. No points, but a $160.00 fine. The city is making a fortune on these tickets I understand because few people contest them due to the lower fine amount and no points or insurance increase. The base fine is about $20. But when court costs are added it jumps up. I saw a break out of fees from speeding tickets a while ago. The issuing city gets very little from the cash paid. It takes more time to write the ticket than they get back for the effort. So, no, LA is not making a bunch of money from this. And you can easily prevent them from getting your money by following the law. You do that right?